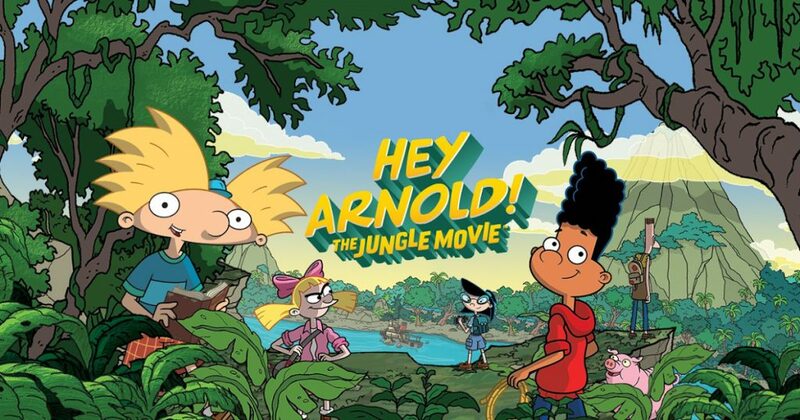 One of the cult cartoon series of Nickelodeon, Hey Arnold is returning this year with a full-length television film called Hey Arnold: The Jungle Movie. Toonsphere asked Craig Bartlett, the creator of the series about The Jungle Movie. Many thanks to the Hungarian team of Nickelodeon which made this interview possible. You and Matt Groening, the creator of The Simpsons, are brothers-in-law. Have you influenced each other’s cartoons? You’d have to ask Matt if I’ve influenced him, but he certainly influenced me! The Simpsons were the most influential cartoon show ever, probably – how to build a convincing world, how to tell a story, how to tell a joke. Matt gave me a lot of good advice when I first got in the business, and was in the early days of creating “Hey Arnold!” and designing the main characters. He told me to design characters that can be easily recognized small on the screen, and in silhouette. Arnold, Helga, and Gerald are a good example of that idea. How did Nickelodeon tell you their idea of the new Hey Arnold! movie? Or was it your idea? It was my idea. 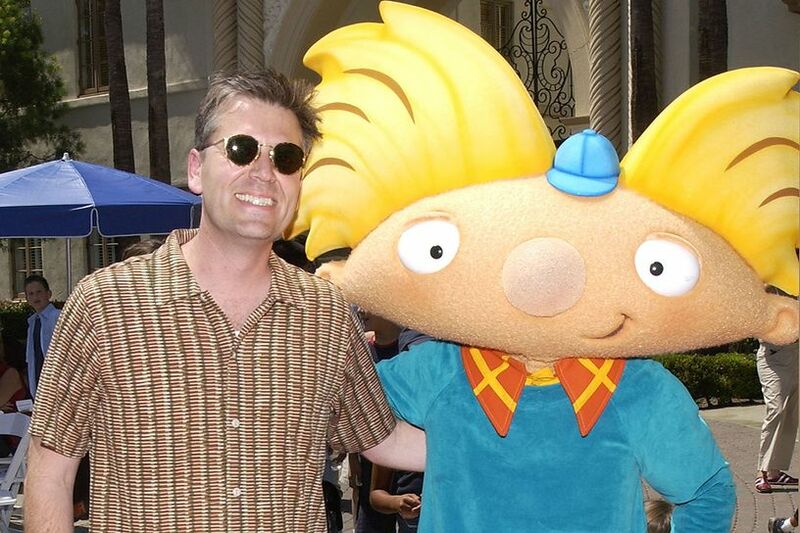 I first went in to talk to Nick about bringing back “Hey Arnold!” in 2013 or 2014. They asked me what kind of story I’d want to tell to reboot the series, and I told them that the first thing we’d have to do is tell the story of The Jungle Movie, because that’s where the original series left off, in a big cliff-hanger ending to “The Journal,” which is actually a prequel to set up the Jungle Movie. Was it easy to go back at making a Hey Arnold! movie after all those years since the first movie? It was pretty easy. I gathered a crew of the key players who worked on the original series. Some of them had moved on to other projects and couldn’t join us, but many of the key creatives were able to drop what they were doing and join me. Also, we added the next generation of artists and writers who had grown up on the show. So the crew was a great combination of old and new-school. What can the viewers expect from this movie? What about new viewers who have not seen the series before? I think that the Jungle Movie is the best Arnold story yet! I feel like I’ve learned a lot about storytelling in the 15 years that have intervened since the show got canceled. I’ve had a long time to think about what I wanted to say, and what the fans wanted to know. And we also worked hard to make the first half of the movie do a good job of introducing everyone all over again, in case the audience was watching Arnold for the first time. So I hope it works for brand-new viewers and older fans. Do you think the movie has enough potential to become a memorable part of the Hey Arnold! story to the people who grew up watching Hey Arnold? Yes, I think it really helps to have the entire series and previous movie all available to stream and view on DVD, but I think the Jungle Movie is the most important story of them all. It “checks all the boxes,” as we say. How does it feel knowing that teenagers and adults around the world are going watch this movie and relive part of their childhood, thanks to you? I’m glad for them! In the age of social media, I’ve heard from many, many fans who wanted me to try and get this movie made, so they could get the answers to the questions they’ve had since childhood. As we approached the premiere date, I could see their excitement. So it’s very gratifying! It makes me realize what an impression the original series made on them. This interview will be translated into Hungarian, Arabic, Bulgarian, Romanian and Serbo-Croatian. Do you have a message for the European/North African viewers? I’m so glad that “Hey Arnold!” has reached so far. It’s great that people from around the world have found something universal in our depiction of childhood, and they like the details of Arnold’s city. I think that the themes that we used to tell our stories are themes that work pretty much anywhere. Thank you for tuning in and watching this chapter of the show! If you’ve been waiting a long time for this, I’m sorry to have kept you waiting. I hope you love it.